As part of UAL’s ongoing Digital Archives and Collections (DAC) Project, we have been preparing digital collections for upload to our new digital preservation system. 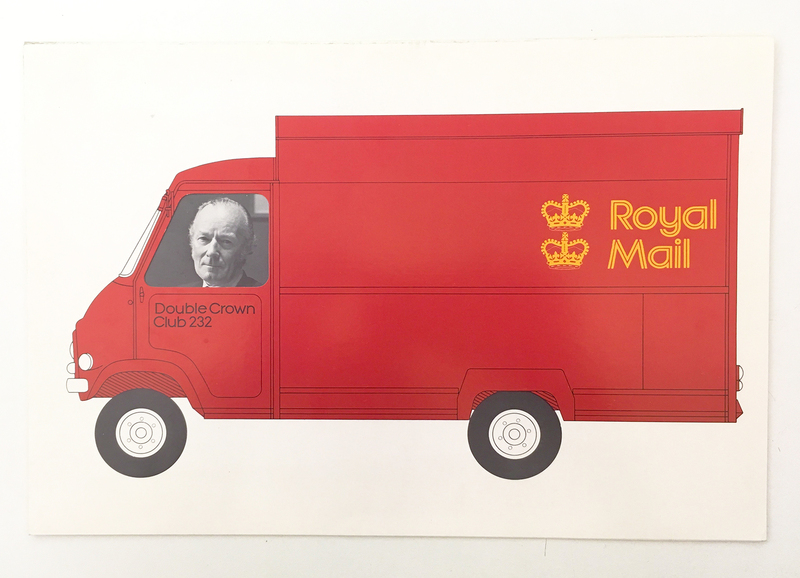 Some collections containing digitised materials have required extra attention; one of these is the Charles London Pickering Archive. Charles London Pickering (1908-1998) was born in Southwark, London. He began his career in printmaking in 1922 at the age of 14, attending the London County Council Central School of Arts (which later formed part of Central St Martins), and went on to study at Bolt Court School of Photo Engraving (a predecessor to the London College of Communication). After his education, Pickering commenced a career as a lecturer at various colleges, including; Central School of Arts and Crafts, Medway College of Arts and Crafts and the Guildford School of Art and Crafts. 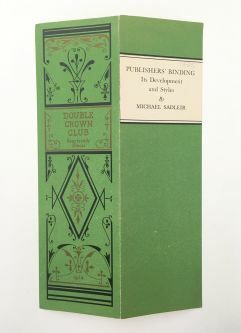 From 1949 onwards Pickering worked as an Inspector of Education (HMI), with a special responsibility for book production and printing education throughout England. 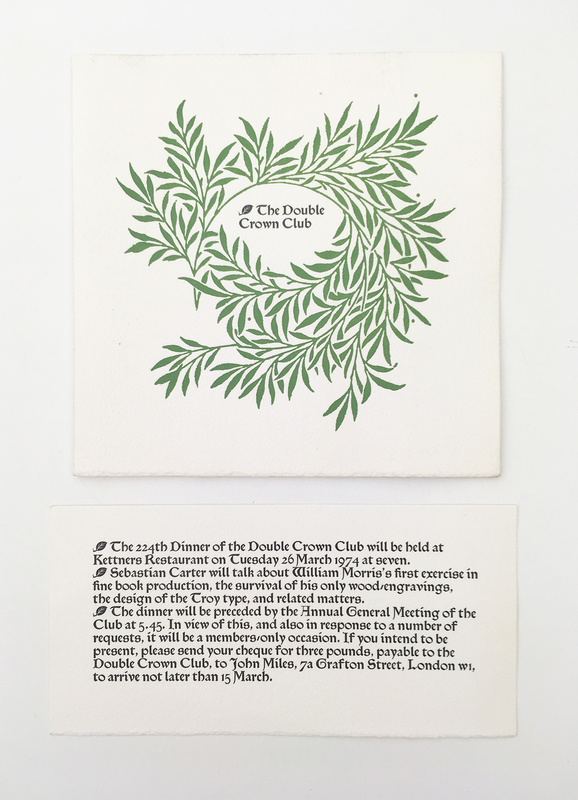 Throughout his career Pickering was an active member of numerous print societies, including the Double Crown Club (DCC) - a London dining club of artists, publishers, typographers, book designers and illustrators which aimed to promote the appreciation of printing by discussion. The dinners also hosted speakers, who spoke on a range of topics. 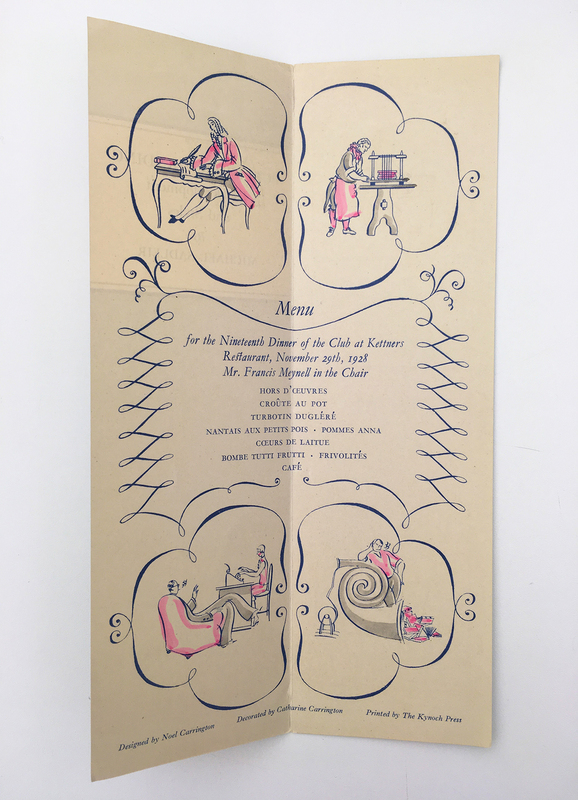 For each meeting the club's dinner menus and invitations were designed by a different member, and the design would then be discussed and critiqued during the dinner. Dinner Menu and Invitation - Japanese Paper Making. 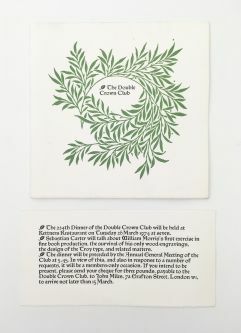 Pickering collected these dinner menus and invitations throughout his lifetime, and this material now forms part of the larger Pickering archive. 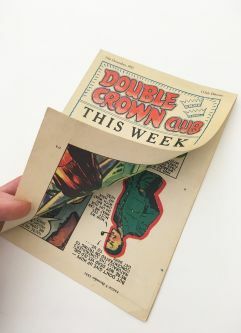 A selection of these items were digitised in 2017, however the physical material itself had not been catalogued. 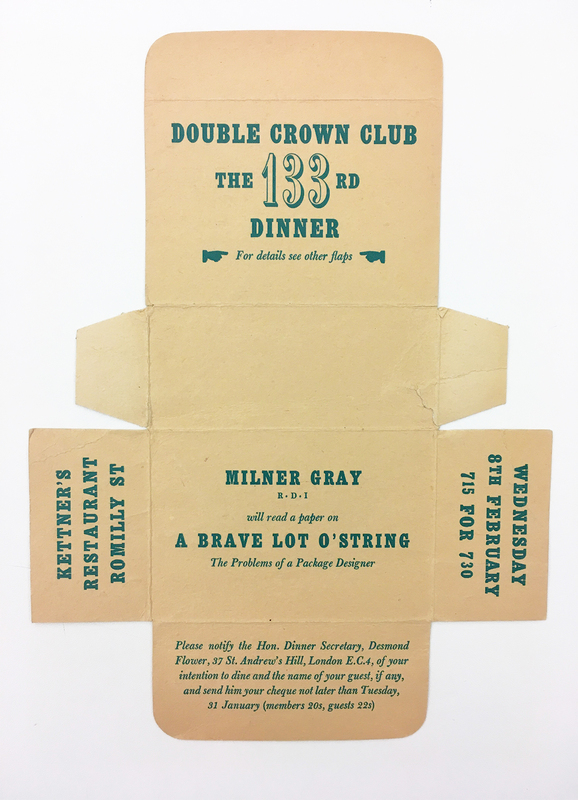 In order to prepare the digitised images as part of the DAC project, we catalogued the entire collection of Double Crown Club memorabilia. This has now been completed, and the descriptive records can be viewed via our online catalogue. The collection spans seven decades, from 1924-1998. 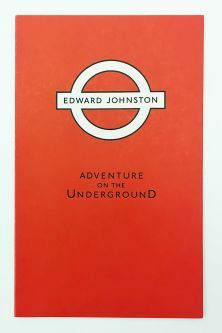 It is a brilliant insight into printmaking techniques and design over this period, as well as topical issues of the time. 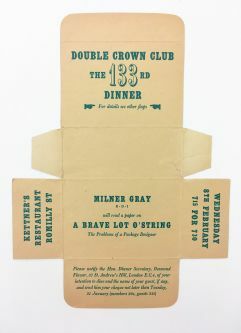 It is incredible to think that Pickering was involved with the club for seventy-four years, and his meticulous collecting activity has enabled us an insight into this highly specialised society of craftspeople. A selection of items from this collection are showcased below. The full collection can be viewed at the Archives and Special Collections Centre, London College of Communication. 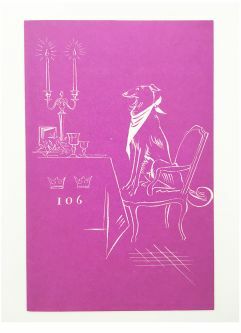 Dinner Menu - Boys Magazines. 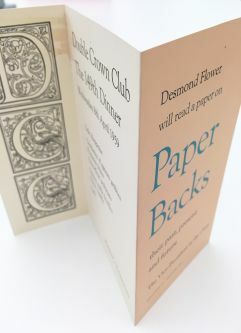 Dinner Menu - 'Publisher's Binding' #2. Dinner Menu - 'Publisher's Binding' #1. 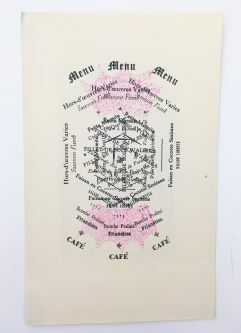 Dinner Menu - 'Menu Menu Menu'. 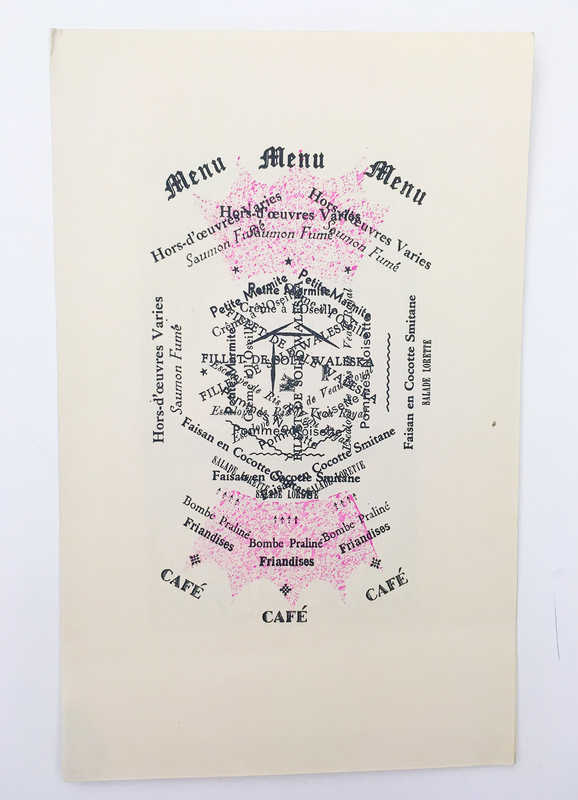 Dinner Menu - Japanese Papermaking. 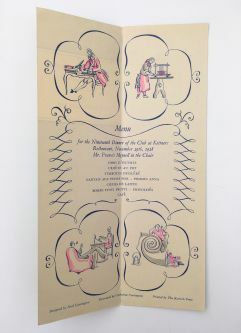 Dinner Menu - Royal Mail. 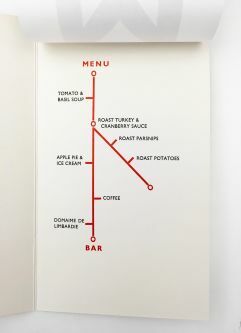 Dinner Menu - 'The Problems of Package Designer'. 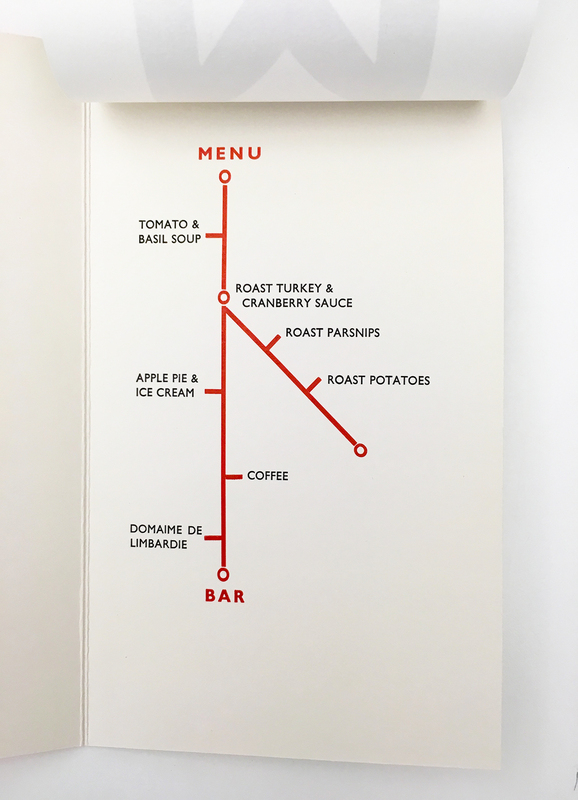 Dinner Menu - Dinner number 106.